*Age Of Sail: A personal voyage of discovery. I turned a dream of sailing into reality – and survived by Christopher Slaney. Price: Free. Genre: Nonfiction, Travel, Specialty Travel, Adventure. Rated: 5 stars on 10 Reviews. 232 pages. ASIN: B079R4MZWK. Not A Typical Tourist in Israel and Jordan: Travel memoirs of an amateur anthropologist by Noor De Olinad. Price: Free. Genre: Biographies & Memoirs , Sports & Outdoor, Adventurers & Explorers, Travel. Rated: 4.7 stars on 4 Reviews. 176 pages. ASIN: B00LN5SCEW. Posted on March 19, 2018 Author KibetCategories Biographies, Free Travel Kindle Books, memoir, TravelersLeave a comment on Kindle Travel Deals for Sunday! If You Teach a Man To Travel: How to Budget Travel Europe on $35 a Day by Dayna Brockbank. Price: Free. Genre: Nonfiction, Travel, Specialty Travel, Budget Travel. Rated: 4.7 stars on 4 Reviews. 216 pages. ASIN: B075QBG5JY. A Spring Betrayal: An Inspector Akyl Borubaev Thriller (2) by Tom Callaghan. Price: Free. Genre: Travel. Rated: 4 stars on 7 Reviews. 336 pages. ASIN: B01417K458. Funny, Weird And Interesting Things You Didn’t Know About… Ireland by Michael Hopkins. Price: Free. Genre: Nonfiction, Travel, Europe, Ireland. Rated: 4 stars on 4 Reviews. 229 pages. ASIN: B01D0SPF62. Posted on March 18, 2018 Author KibetCategories Budget, Free Travel Kindle Books, TravelersLeave a comment on Kindle Travel Deals for Saturday! *The Big Blue Ball: A Memoir by Mike McIntyre. Price: Free. Genre: Biographies & Memoirs, Sports & Outdoor, Adventurers & Explorers, Travel. Rated: 5 stars on 4 Reviews. 249 pages. ASIN: B0771S2J4J. Posted on March 14, 2018 Author KibetCategories Biographies, Free Travel Kindle Books, memoir, TravelersLeave a comment on Kindle Travel Deals for Tuesday! *Peanut Butter and Passports: Driving Apes, Skivvy Skydivers And Travel Tales From Around The World by Tom Gose. Price: Free. Genre: Biographies & Memoirs, Nonfiction, Travel, Australia & South Pacific, New Zealand. Rated: 5 stars on 14 Reviews. 240 pages. ASIN: B07B2L6D3V. Hygge: Beginner’s Guide to Learn and Understand the Danish Art of Cozy Living by Daniel Pratt. Price: Free. Genre: Nonfiction, Self-Help, Travel, Europe, Denmark. Rated: 4.6 stars on 7 Reviews. 53 pages. ASIN: B077XCTZTL. Posted on March 7, 2018 March 7, 2018 Author KibetCategories Biographies, Free Travel Kindle Books, memoir, TravelersLeave a comment on Kindle Travel Deals for Tuesday! *Stay Connected: How To Maintain Relationships, Friends, and Family While Being Away by Michael Moore. Price: Free. Genre: Nonfiction, Travel, Specialty Travel, Business Travel. Rated: 5 stars on 4 Reviews. 93 pages. ASIN: B07B42NH56. *Life in Japan: Understanding the cultures and knowing the rules: What you need to know about living in Japan by James Walker. Price: Free. Genre: History, Asia, Japan, Travel. Rated: 4.9 stars on 13 Reviews. 96 pages. ASIN: B07B295RVT. Posted on March 4, 2018 Author KibetCategories Free Travel Kindle Books, history, TravelersLeave a comment on Kindle Travel Deals for Sunday! *Return of The Sea Empress: The Trans-Atlantic Voyage That Changed Cuban-American Relations (Marsha & Danny Jones Thriller Book 2) by Ken Rossignol. Price: Free. Genre: Nonfiction, Travel, Specialty Travel. Rated: 4.1 stars on 52 Reviews. 118 pages. ASIN: B00513DAZ8. RV Living: An Essential Guide to Full-time Rving and Motorhome Living by Matt Jones. Price: Free. Genre: Nonfiction, Travel, Food, Lodging & Transportation, Auto & RV Travel. Rated: 4.5 stars on 8 Reviews. 118 pages. ASIN: B077K69YF5. Costa Rica Travel Guide: 101 Coolest Things to Do in Costa Rica (Central America Travel, Costa Rica Tours, Backpacking Costa Rica, Costa Rica Guide) by 101 Coolest Things. Price: Free. Genre: Nonfiction, Travel, Specialty Travel, Budget Travel. Rated: 4 stars on 35 Reviews. 42 pages. ASIN: B072PZ1XNP. Posted on March 4, 2018 Author KibetCategories Budget, Free Travel Kindle Books, TravelersLeave a comment on Kindle Travel Deals for Saturday! *Spain Travel Guide: Activities, Food, Drinks, Barcelona, Madrid, Valencia, Seville, Zaragoza, Malaga, Murcia, Palma de Mallorca, Las Palmas, Bilbao, Alicante, Cordoba, Granada, San Sebastian by Todd Wright. Price: Free. Genre: Nonfiction, Travel, Specialty Travel, Tourist Destinations & Museums. Rated: 4.8 stars on 11 Reviews. 302 pages. ASIN: B079TJBMW5. Posted on March 3, 2018 Author KibetCategories Free Travel Kindle Books, TravelersLeave a comment on Kindle Travel Deals for Friday! *Planes, Trains, & Broken Strings: The Laughable but True Story of an Impoverished Indie-Musician Traveling the World by Tom Edwards. Price: Free. Genre: Nonfiction, Travel. Rated: 4.7 stars on 32 Reviews. 472 pages. ASIN: B00QWHMH4M. SINGAPORE FOR TOURIST: See the Best Attractions, Save Money & Have Fun by Cherry M. Price: Free. Genre: Nonfiction, Travel, Asia, Singapore. Rated: 4.5 stars on 4 Reviews. 28 pages. ASIN: B01LZ75OXT. 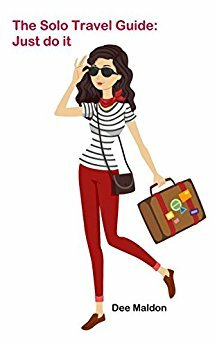 Posted on March 2, 2018 Author KibetCategories Free Travel Kindle Books, TravelersLeave a comment on Kindle Travel Deals for Thursday!